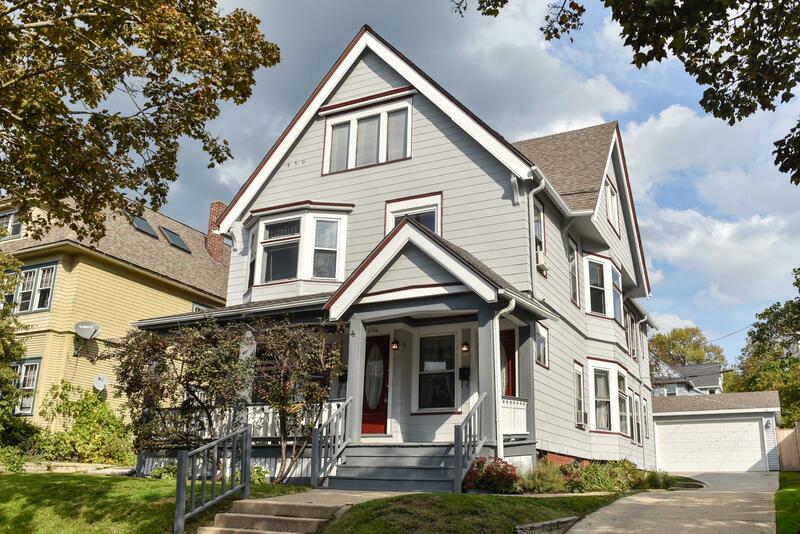 Hard to find affordable east side 3/3 duplex, within walking distance to Lake Michigan, UWM, cafes, restaurants, shopping & more! This beautiful property boasts charming details combined with well-appointed updates that will make you say WOW. Both units have HWF's throughout, built in cabinets, natural woodwork, gorgeous leaded glass windows, claw footed tubs, & awesome 1st floor butler pantry! Massive 3rd floor walk-up expandable attic waiting for your renovation plans. Private drive with new concrete & gigantic 4 car garage built 2011! Exterior painted June 2018 & complete tear off roof summer 2010.Home warranty & appliances included! Perfect investment opportunity or owner occupant. This one won't last!